Two suspects have been arrested by police in the Ashanti Region for allegedly kidnapping a 14-year-old boy. The boy, according to the police, was abducted and placed into a room of an abandoned two-storey building at Apatrapa, near Tanoso in the Kwadaso Municipality of the Ashanti Region. 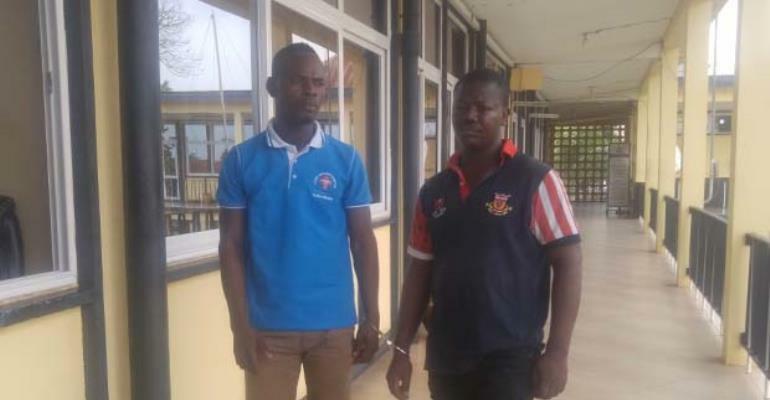 The suspects, Charles Appiah, 38, and ManaaseFumi, 24, drugged the victim, a form two student of Moni Zion Junior High School (JHS) before pushing him into a car at Tech Junction. They sped off and later dumped him in the building several miles away from his house on Sunday evening. ASP Godwin Ahianyo, the Public Relations Officer (PRO) of Police in Ashanti Region, said the victim, a resident of Kwamo in the Ejisu Municipality, was rescued on Tuesday from a room of the suspected kidnappers, who were demanding $3,000 from his grandmother. According to the police, the minor was lured with iPhone to the Tech Junction by one Felix, who had previously struck acquaintance with the victim. Felix, the police officer said, is currently at large, but added that they are pursuing him. ASP Ahianyo explained that the three suspects, Charles Appiah, Manaase Fumi and Felix, had conspired to abduct and kidnap the 14-year-old when an idea was sold to them that they could raise several dollars from the victim's parents, who are domiciled abroad. He disclosed that Charles Appiah, a neighbour of the victim, sold the idea to the gang which agreed to carry out the plan. The police chief narrated that Charles proceeded to rent the abandoned apartment for GH¢300 for the operation which was executed by Felix. “They tied the boy, dumped him in one of the rooms and then locked it; they later asked the grandmother to give them $3,000 in order to release the boy,” ASP Ahianyo narrated. According to him, the boy was eventually rescued by police at Abuakwa after he managed to signal a certain man, who was passing by behind the window of the room.